Last weekend, I had the amazing opportunity to take part in Star Wars Celebration VI. Attending the convention was just one part of my experience. The other part was volunteering as the 501st Legion Kid Bash Coordinator. Running alongside the Imperial Bash, the Kid Bash was a party just for the kids of 501st Legion members. The idea came about when parents starting inquiring about child care during the Imperial Bash. This had never been done before, so it was new territory for everyone. Since I have a child of my own, I figured I would step up to the plate and volunteer to head it up. When I first volunteered, I had no idea what I was getting into. Planning an event like this takes a lot of time, effort, and, most importantly, patience and organization. As I started to get the hang of it, I realized how much more I could do for the kids than what was originally required of me. It took some e-mailing back and forth, but I managed to secure the kids some humble decorations as well as some awesome prizes to take home. A few of the companies I’ve worked with before on GeekMom were very generous in donating a prize to each child who attended the Kid Bash. We even had an artist, who donated his time, to create two very special pieces of artwork, exclusively for the event. 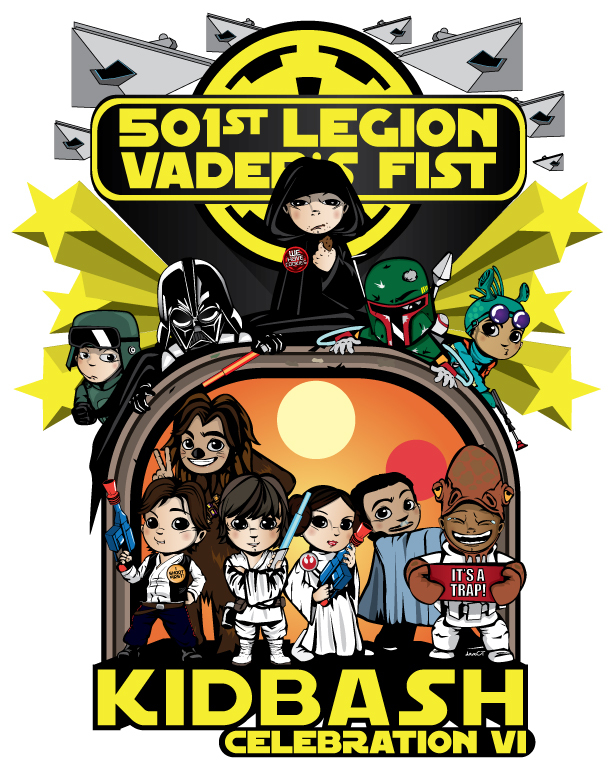 Dave Liew created the Kid Bash logos that were used on the signs, T-shirts, and swag bags. The art has been a hit among the 501st Legion membership and has received compliments from hotel guests who saw the logos on display. On more than one occasion, I saw Celebration VI convention goers stopping to take pictures of this amazing and unique artwork. 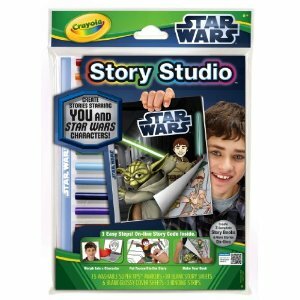 Crayola was kind enough to give each attendee a Story Studio: Star Wars Edition . 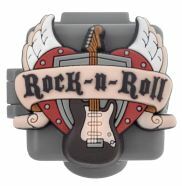 With Story Studio, you can take an ordinary picture of your child and turn them into a one of a kind character in a story book. It comes with everything you need for your child to create a unique story that is all their own. Crayola Story Studio is available at select Crayola retailers as well as through Crayola’s website. 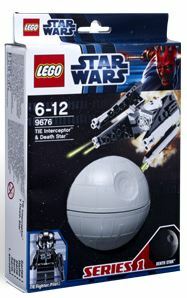 My son is in love with Lego, so when they offered to donate one of the newest additions to their Star Wars line, the Build-able Galaxy: Tie Interceptor and Death Star set, I was thrilled. I knew this would be a hit with every child in the room. All of the Lego pieces fit inside the Death Star and once your child builds the set, they can fly their new ship around or let it sit on the included Lego stand. You can purchase this set from your local Lego retailer or through Lego’s website. Last, but not least, is GeoPalz. The GeoPalz is a pedometer that not only counts the steps your child takes, it also rewards them for taking strides to a healthier lifestyle. The GeoPalz website allows parents to monitor their child’s physical activity and it sends them weekly updates with their child’s progress. Once the child reaches a certain level, they can receive prizes, ranging from certificates of achievement to gift cards for their efforts. GeoPalz can be purchased through their website or select retailers nationwide. Later in the evening, the children were visited by some very special guests. C3P0 and R2-D2 were in the house for the Imperial Bash and decided to take a quick walk upstairs to see the kids. Everyone in the room could not have been more excited to see them. The little ones were especially happy to see R2. Some of the older children had some interesting questions for C3P0, which he was more than happy to answer. Not long after, Timothy Zahn and Steve Sansweet stopped by. This time, the older kids could barely contain their excitement. I think they spent more time with them than C3P0 and R2. They had so many questions, and Timothy and Steve were both happy to answer each and every one of them. It was great seeing two very important men take some time to speak to the kids. I know it made the kids feel special to have them all to themselves for a few moments. The Kid Bash was definitely a learning experience for me. It’s been awesome hearing the parents tell me how much fun their children had and several wish they could have gone back the next day. One parent told me that their child walked around all of CVI with their ticket to the Kid Bash, to show it off to anyone that would look. This made me realize that something that seemed like a small detail to me, such as making tickets for the kids, could mean a lot to them. Again, thank you to everyone who contributed to this events success as well as the success of the everything the 501st Legion accomplished at Celebration VI. It takes an amazing team to make things like this happen and I’m proud to have been a part of it. Would you like to join up with the ranks of the 501st Legion? Leave me a comment and I’ll help point you in the right direction. ← Where to Watch the Paralympics — Hint: Good Luck in the U.S.